In addition, it is advisable to consult with a skilled financial planner to prepare intended beneficiaries for other non-probate assets. These typically include, insurance proceeds, retirement accounts (IRAs, pensions, etc. ), and any items held with a joint right of survivorship. 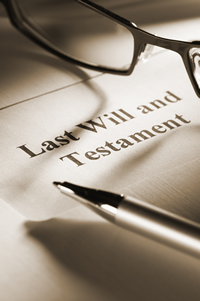 A Will is a document which outlines the wishes of the Decedent upon his or her death. Because a death invariably results in the transfer of property, it is not only a very personal experience but also a legal one. The decedent’s estate consists of the real and personal property the decedent owned at the time of death. Real property includes land and improvements located on the land. Real property also includes oil, gas, and other mineral interests. Personal property is everything else, including cash and bank accounts, clothing and personal effects, household furnishings, motor vehicles, stocks and bonds, life insurance policies, and government, retirement, or employee benefits. Upon death, title to the decedent’s property passes immediately to the beneficiaries under the decedent’s will. However, there must be an actual transfer of ownership of the property by proving the will in court. The purpose of court involvement is to protect the rights of the family, those entitled to receive property, and the creditors of the decedent’s estate. A Directive to Physicians and Family or Surrogates, often called a Living Will. This document instructs his or her physician to withhold or withdraw artificial life-sustaining procedures in the event of a terminal or irreversible condition. The directive takes effect only after the patient’s physician determines that the patient is terminally ill and that death is expected within six months without application of artificial life-sustaining procedures. The form and contents of the directive are prescribed by Texas law. 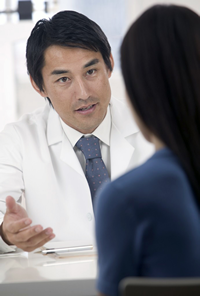 The directive should be in writing, signed by the patient, and witnessed by two competent adults. One of the witnesses cannot be the person designated to make a treatment decision for the patient, related to the patient by blood or marriage, the patient’s heirs, the attending physician or an employee of the physician, a person who would have a claim against the patient’s estate upon his or her death, or an employee of the patient’s health care facility who is providing direct care to the patient or who is involved in the financial affairs of the facility. In lieu of signing in the presence of witnesses, the patient may sign the directive and have the signature acknowledged before a notary public. The directive may include a designation of another person to make a treatment decision for the patient if the patient is comatose, incompetent, or otherwise mentally or physically incapable of communication. A power of attorney is an instrument by which one person (the principal) grants to another (the agent) the power to perform certain acts on his or her behalf. This instrument grants authority to a designated agent to manage the principal’s property on his or her behalf. It can be distinguished from the medical power of attorney which relates to health care decisions rather than to decisions concerning the management of property. The principal can either grant the agent one or more specific powers or grant the agent all of the powers listed in the power of attorney form. In addition, the principal can elect to have the power of attorney become effective immediately upon signing it or only upon the principal’s future disability or incapacity. The durable power of attorney must be notarized, but it need not be witnessed. a person who would have a claim against the principal’s estate upon his or her death. In lieu of signing in the presence of the witnesses, the principal may sign the medical power of attorney and have the signature acknowledged before a notary public.